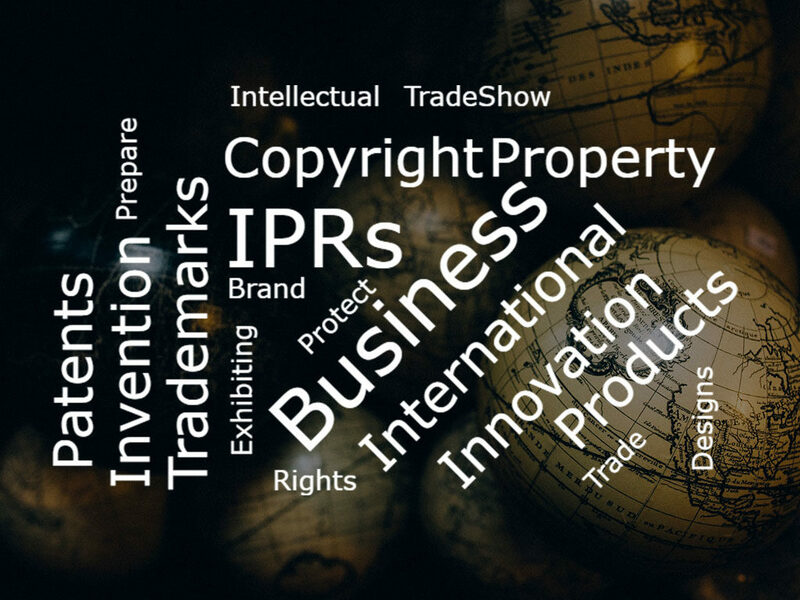 Before participating in an international exhibition, it is essential to make sure that you are aware of the IPRs (Intellectual Property Rights) that you own and intend to show. This includes trademarks, designs, copyright, utility models or patents. IPRs are only effective in the country or region where protection has been applied for and granted. Consequently, the patentee does not have rights outside of that country or region, and cannot block others from using the invention in another country. While preparing to exhibit at an overseas trade show, it is important to not only carefully protect your IPRs, but also to avoid infringing the rights of others in the country where the show is being held. The Global Brand Database can help start the research. Showcasing new products and innovations are a huge part of participating in a trade show, therefore managing your IPRs are essential. Make sure that you bring all the documents to the exhibition to prove that you own the intellectual property rights. The recently published fact sheet, “IP Management at Trade Fairs”, address businesses exhibiting in Europe, and details what to do before, during and after a trade fair to protect and protect your IPRs.